"Watch out and move over, Downton Abbey, because The Muskoka Novels are here," book blogger, EmSun, stated in her recent review of The Summer Before the Storm. Teddy Rose, So Many Precious Books, So Little Time, said, "If you are a fan of Downton Abbey, trust me, you will love [the Muskoka Novels] series!" Other wonderful quotes from that blog tour can be seen on my website. So I’m excited that Elusive Dawn, Book 2 in the trilogy, begins a month-long tour next week. Here’s the schedule, which also includes a few guest posts and book giveaways. “She explained in words suitable to my innocent ears that wounded soldiers, so long starved of women, inflamed with wine and battle, ravish and leave half-dead the young nurses who wish only to tend them,” Lady Diana Manners reported of her mother’s reaction to her wanting to become a Voluntary Aid Detachment (VAD) nurse during WW1. The Duchess gave in, but “… knew, as I did, that my emancipation was at hand,” Diana wrote in her memoir, The Rainbow Comes and Goes, and admits, “I seemed to have done nothing practical in all my twenty years.” Nursing plunged her and other young women into a life-altering adventures. But they also had to endure incredible hardships, especially near the battlefields. Makeshift hospital cities of tents or wooden huts, accommodating as many as 2000 patients, stretched along the north coast of France for almost 300 kilometres. 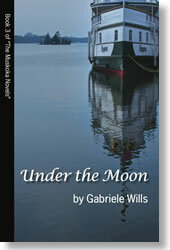 There was no running water, rats scurried about under the beds, and the tents sometimes collapsed in fierce gales that howled off the English Channel in two of the coldest winters in living memory. The British nursing Sisters and VADs abroad were also under strict regulations. They were forbidden to fraternize with men when off-duty, including their co-workers. One girl wasn’t even allowed to go for a walk with her father, who was a General! Nor were they permitted to dance, although the neighbouring Canadian and American nurses were, which caused some resentment. (The Canadians, however, resisted using VADs in overseas military hospitals, so Canadian volunteers usually worked for the British.) But when they did have time off, the girls would walk many miles or hitch a ride (also strictly forbidden) to nearby seaside resorts for a good meal. With military encampments all around, there were always plenty of dashing young officers only too happy to join them. Not that there was much opportunity for romance, since the men were constantly on the move. It was different for nurses working in Britain, where patients usually stayed in hospital for many months. With gramophones in the wards crooning sentimental songs like “If You Were The Only Girl in the World”, what could be more natural than for young women to fall in love with the grateful, adoring, and heroic young men they tended every day? Any sign of romance within the hospital was squashed, but there was nothing to prevent girls from seeing convalescent soldiers in their free time. But days off and leaves were often postponed or cancelled. Overworked, exposed to harsh conditions and food shortages, surrounded by men with typhus, dysentery, meningitis, etc., many nurses became ill. While Sisters wore rubber gloves when doing dressings, VADs didn’t. Constantly dealing with festering wounds, girls often ended up with septic hands, which needed lancing and left them with scarred and “stupid stiff fingers”. And there were other dangers. Hospital ships were torpedoed, and air raids on both France and England sometimes hit hospitals. With shells bursting around them, nurses helped patients to safety or stayed with those too ill to move. Over 50 Canadian nurses lost their lives to disease and enemy action, of which 6 were VADs. 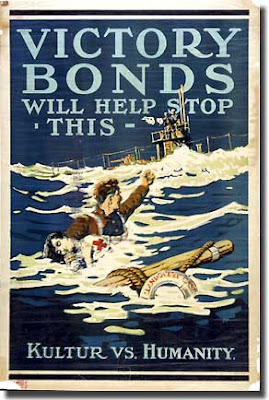 The sinking of the Canadian hospital ship, the Llandovery Castle, in which 14 nurses died, is dramatized in the poster shown above. Ironically, the Sister is wearing a VAD uniform, although there were no VADs aboard. There was often friction between the Sisters and the volunteers. Career nurses were concerned that their profession was being undermined and diluted by these do-gooders. The VADs, unused to military or hospital discipline, were independent spirits who questioned “ridiculous” rules, and resented being treated like servants. 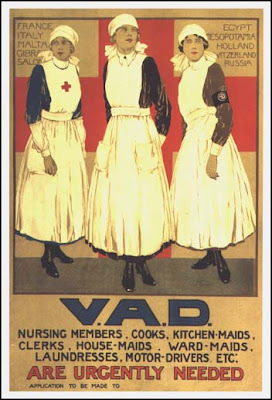 Very few VADs sought work as nurses after the war. Like the soldiers, they had just been doing their patriotic duty. But they benefitted from their hard-won independence, many going on to successful careers in other fields. One of the most famous was Agatha Christie, whose job dispensing drugs provided her with information about poisons, which she used in her mysteries. Very Artful Darlings, Very Able Dusters, Victim Always Dies – VADs were called many names, but no one denied that these volunteer nurses became invaluable in the care of the millions of wounded. I pay homage to these intrepid women in Elusive Dawn. Like Vera, VADs were generally from genteel, sheltered, and chaperoned backgrounds. Some were aristocrats, like Lady Diana Manners – the “Princess Di” of her day - reputedly the most beautiful woman in England and expected to marry the Prince of Wales. Only the middle and upper classes could afford to work for free, and to pay for the courses and exams that were required to become a VAD. Growing up with servants, many of these young women had never had to wash a plate or boil an egg. One girl related how amusing it was to serve tea at the hospital and then return home to have her own tea served by the parlour maid. About 2000 Canadian women became VAD nurses, with over 500 seeing service in England and France with the British Red Cross. But we have few records of their experiences. Of the 23,000 British VADs, several, like Vera and Lady Diana, left a rich legacy of memories. It’s hard for us to believe now that there was cheering in the streets when Canada went to war in August of 1914. Young men, overwhelmed by patriotism, duty, and a keen sense of adventure, flocked to join up. Within two months, the first 32,000 headed overseas. Women did “their bit” by raising money, rolling bandages, sewing, and so forth, but for some, that wasn’t enough. Like their brothers and sweethearts, energetic young women craved the excitement and independence that “their war” offered. But the only women allowed near the front lines were nurses. The white-veiled “Angels of Mercy” with red crosses emblazoned across their breasts became enduring symbols of these nurturing, heroic healers. What higher role could a woman achieve in this cataclysmic conflict than to comfort and tend the shattered bodies of valiant men? However, it took three years of hospital apprenticeship to become a qualified nursing “Sister”. So when 3000 Sisters became part of the Canadian Army Medical Corps, there was a lack of trained nurses for the many new convalescent hospitals that treated the burgeoning numbers of maimed soldiers returning from Europe. (Canada had about 170,000 wounded.) With only a few weeks of training by St. John Ambulance in First Aid and Home Nursing, women over 20 became qualified to work under the guidance of professional nurses. They learned quickly on the job. While VADs spent much of their time changing linens, sterilizing equipment, serving meals, and so forth, they were just as readily asked to hold down the exposed intestines of a mortally wounded soldier, as was Canadian Doreen Gery on her first day in a British military hospital. Her protest to the Sister that she would rather die than do that, earned the retort, “Well, die then! You’re no good to me if you can’t do the work!” Like other VADs, Doreen stoically got on with the job. Giving up was considered the equivalent of cowardice in a soldier. 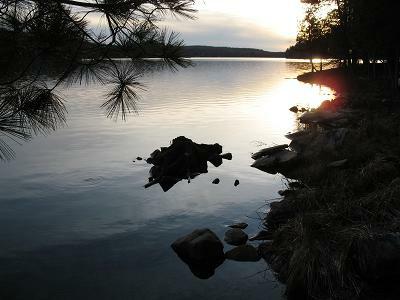 It was shocking, exhausting, and hazardous work, but with the perks of newfound independence, adventure, and sometimes romance.